With over a thousand photos on her Instagram account, it’s no surprise that Jessica Tham (@tippytapp) has mastered the art of taking picture-perfect OOTDs. We get her to spill on her favourite places to snap OOTDs, as well as other tips on getting that perfect Instagram photo. 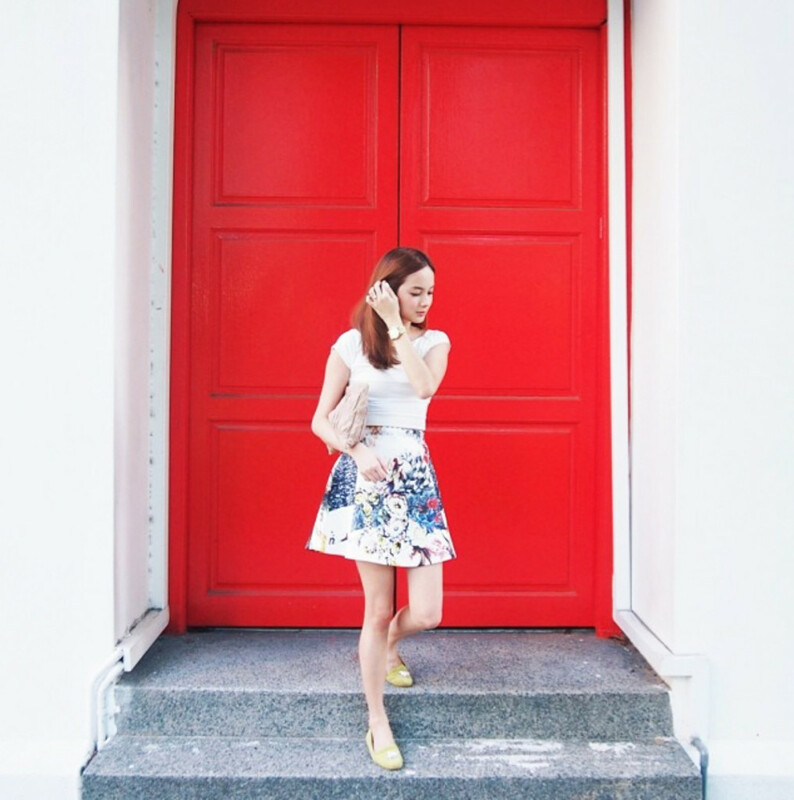 If you’re going for a more atas feel, the newly-renovated CHIJMES is the perfect location to snap your OOTD photo. The towering arches and intricate details of this historic church compound are quite unlike most buildings in Singapore, so your photos will look like they were taken overseas…sort of. Just make sure there are no tell-tale signs in the background, like one of Singapore’s trademark green dustbins. Raffles Hotel has beautiful colonial-style architecture, which also makes for a very photogenic background. And hey, if you have the time you can make a tai-tai afternoon of it by having high tea at the Tiffin Room there. For OOTD photos, check out the arched walkways on Level 2, or the marbled steps near the shopping gallery of the hotel. If you didn’t get to visit a cold European country this past winter, do not despair. 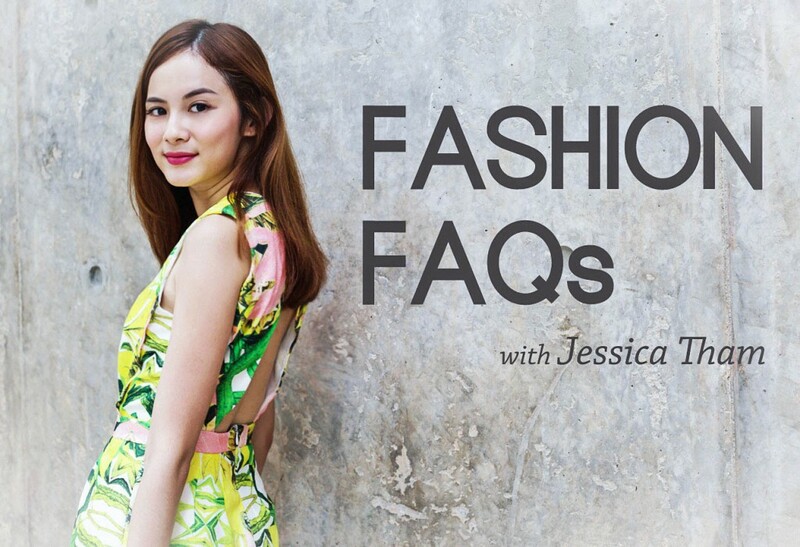 You can still flaunt your semi-winter OOTDs at the church located next to Artichoke Cafe. The building is located along Middle Road (near Bugis Junction) and kind of makes you look like you’re not in Singapore. It also helps that there are dried leaves sprinkled all over the ground. To erm, add to the overseas feel. Just add a filter, look a bit chilly and you’re good to go. And FYI, the best time to snap your OOTDs here is in the morning, because the place will be relatively empty at that time. An easy way to make your OOTD photo look better is to pose along a nice corridor – like this one at Wilber Place along Armenian Street. The arches along the walkway give your photo some depth of field, so it won’t look so plain. If there’s anything Instagram has taught us, it’s that posing against a colourful background will make any plain or boring outfit look better. 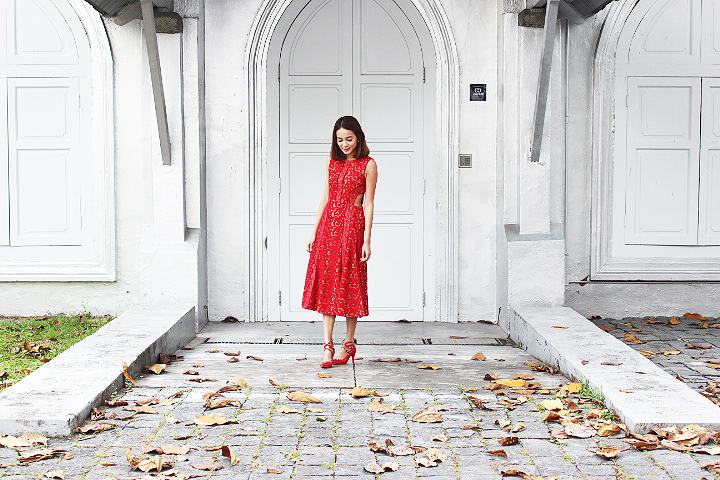 This red door located behind The Muffinry cafe in Telok Ayer is an Instagram-worthy spot to snap your OOTD, especially if you’re in neutral tones. 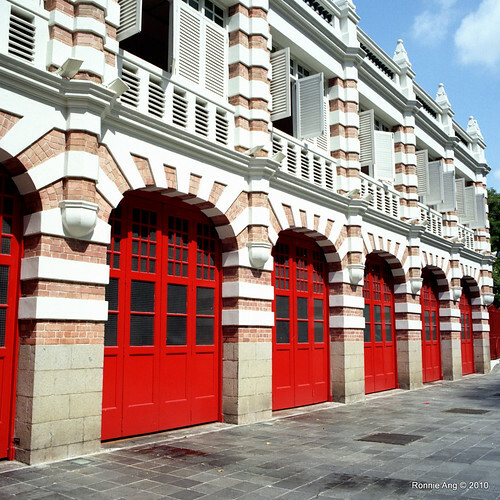 Another alternative location you can check out is the Fire Station at Hill Street. With its bright red doors and charming brick walls, the building makes for a great OOTD background…because white walls are so passé, you know? Just watch out for the fire engines or ambulances that might be coming out of them. 1. Snap a test photo to show him how you want the background to be framed in the photo. Be specific about things, like if you want the whole tree in the background or just part of it (these things matter for Instagram OK). 2. Tell him how you want the subject (aka you) to be positioned in the photo. Do you want to be to the side or centre of the photo? Because if you’re not specific, it is highly likely that you’ll end up with a slanted photo. 3. Get your photographer to snap as many photos as possible, in continuous succession. This way, at least one of the photos will work for your. If none of the photos are nice, then er…maybe send him for training with other more experienced OOTD photographers/boyfriends?